Should California threaten to Secede … or just Silicon Valley’s Golden Geese? In short, he and others like him felt that a real or threatened secession might provide the leverage needed to get the Trump administration to listen to Silicon Valley on issues such as global trade, offshore labor and foreign skilled workers. These are all issues on which President-Elect Trump took opposing views during his campaign. Furthermore, Pishevar felt that issues such as electoral reform might also be put on the agenda. The hashtag #Calexit quickly generated significant twitter traffic and press. In the cold light of day, the practical logistics of getting 38 to 48 million people (if you in clude the states of Washington and Oregon) to agree to secession is quite daunting. Americans are well schooled on the bloodshed and anguish caused when another group of states tried to secede as a result of philosophical differences with the central government. So there is a real question whether secession – as either a threat or reality – would ever be an effective tool to leverage Silicon Valley’s goals. If not, then it will most likely be relegated to the dustbin of history along with other passionate but soon forgotten movements like Occupy Wall Street. However, there is a very realistic and practical way that Mr. Pishevar and those like him could exert rapid and substantial pressure on President Elect Trump and the US Congress. The way forward was hinted at by no less than Ralph Nader in his 2009 book, “Only the SuperRich Can Save Us”. The key is to first recognise the inherent power of pooling the collective tax revenue that is currently paid to the US government by the top 1% of taxpayers or “Golden Geese” from California…and threatening to withdraw this pool of tax revenue from the US central government. One first needs to understand that 41% to 81% (depending on whether you include payroll tax ) of total US government revenues come from individuals. Crucially, the Golden Geese account for approximately 46% of the total personal tax collected . As a natural result of this revenue model, whether you think it is fair or not, the US government is extraordinarily over-reliant on a tiny number of people for its on-going operation. Furthermore, as a result of globalisation, Golden Geese are no longer bound to the US full-time in order to make or maintain their wealth. In business terms they are not ‘sticky’… and here is where political leverage is possible. Instead of Mr. Pishevar attempting to convince tens of millions of people to join his cause, he could simply focus his attention on convincing the relatively small number of California Golden Geese to use the threat of the withdrawal of their collective tax revenue power to advocate for their common goals. To get the attention of the President Trump and Congress, Mr. Pishevar needs to make the case that there is a real threat of a potentially crippling loss of tax revenue. Unlike off-the-cuff celebrity threats to “Leave the US, if their candidate is not elected”, the Golden Geese will only be taken seriously when they can demonstrate that they actually have a viable Back-Up Plan in place and ready to execute. Interestingly, a week before the election I had several thousand Golden Geese and their financial advisors sign up for a webinar regarding Back-Up Planning. This high level of interest occurred because the participants are facing a doubling of their tax bill as a result of campaign promises by both candidates to change the taxation of Carried Interest. 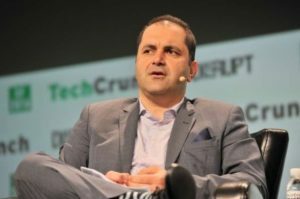 Even if Carried Interest is not a particular concern for Mr. Pishevar and his movement, the leverage still exists if they can demonstrate that a large enough group of Golden Geese have taken the steps to put in place their own Back-Up Plan, one that gives them a viable alternative to what the Trump Administration proposes. 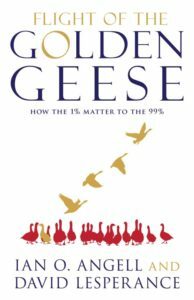 The recognition that the financial leverage of the Golden Geese, if properly harnessed, could be used for positive societal change is what inspired my co-author, London School of Economics Professor Emeritus Ian Angell and I to write our book, The Flight of the Golden Geese, How the 1% Matter to the 99%. This could be the first real world example of that power being exercised.